Avery® labels are manufactured by Avery Corporation. Label Outfitters® does not make Avery products. Made in the USA! 100 Sheets Pressure sensitive, self-adhesive shipping labels for laser or inkjet (ink jet) printers. Avery® 5164, 5264, 8164 Compatible. Label Outfitters Labels are printable with Avery® Label Pro or templates built into Microsoft Word on your laser/inkjet printers. 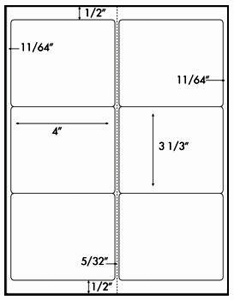 Other uses: mail labels, address labels.These labels are 6 per sheet, in 2 columns of 3 labels each, and each label is 3-1/3 x 4 inches. 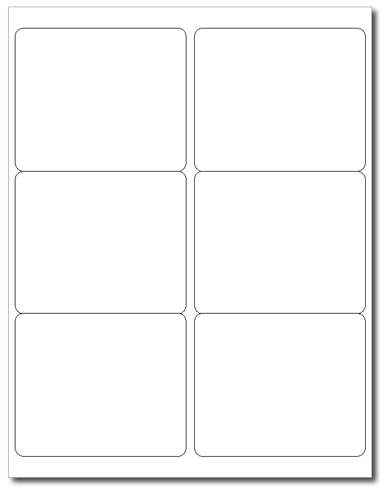 Note: These are the same layout used by the Pitney Bowes ClickStamp® system. Love these labels! I use them for my wine bottle labels. My only complaint is they didn't come in a box like my last order. They have more of a chance of getting damaged in the plastic wrap. Make it an option at least! !